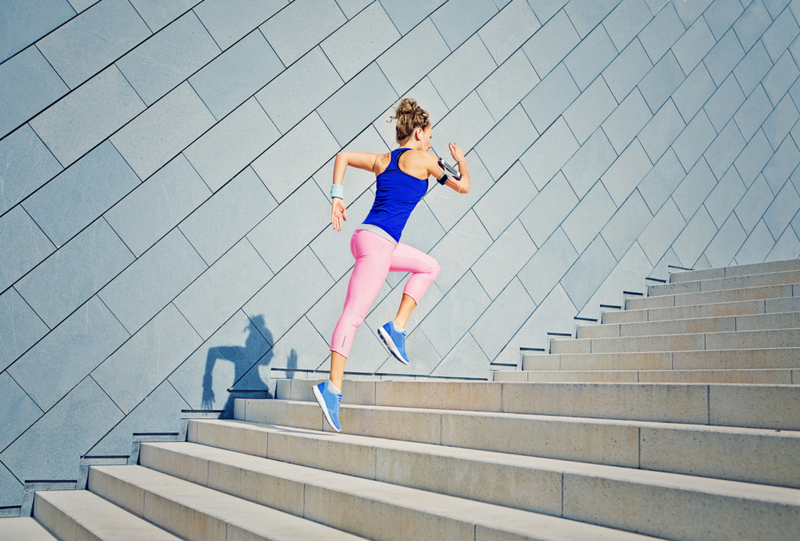 We all know that running is a great way to tone up and lose weight. But do you know how many health benefits can be attributed to this form of exercise? Probably more than you imagine! Now’s the time for slipping on your trainers and firing up your Spotify account for a run around the park. After all, this is one of the best ways to make you fit, happy and healthy. Believe it or not, this is all achievable by going for a 30-minute run just a few times a week. During a run your lungs will be cleared of airborne bacteria, which helps to boost your immune system. Regular exercise like this has been also been proven to reduce the risk of various ailments. Heart disease, high blood pressure, type 2 diabetes and some types of cancer are just some examples. One study even found that elderly people who regularly go jogging are 50% less likely to die prematurely from diseases like cancer than non-runners. For anyone worrying that running may put pressure on their joints, don’t let it stop you from dusting off your running shoes. People who regularly run are more likely to develop joint and muscle strength, which can help to prevent osteoarthritis. As obvious as it sounds, this will also help you to lose weight and tone every muscle from the waist down. Therefore, there will be less body weight on your joints too. Psychologically the advantages of running are also huge. 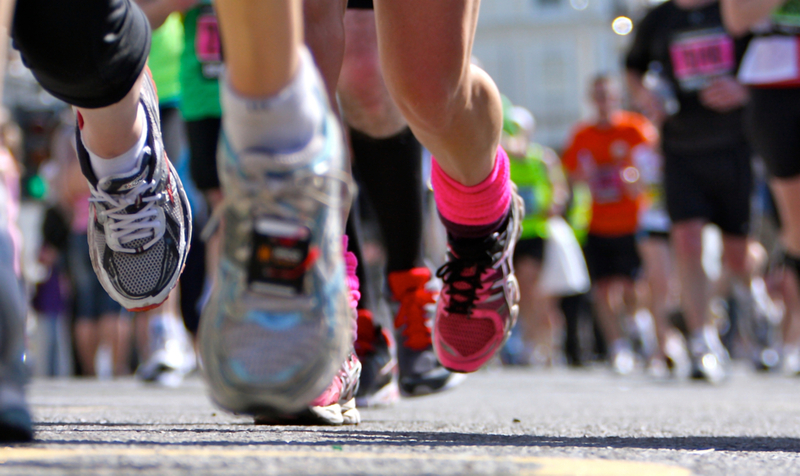 We all know about ‘runners high’ – the feel-good rush of endorphins that flood your bloodstream after a run. But running regularly is a sure fire way to boost general feelings of wellbeing. This is especially true for anyone suffering from depression or anxiety. In fact, this has been scientifically proven to improve your mood, self-confidence and esteem. It’s also a fantastic way to ease any sleep issues. So, after a run, you’ll be more likely to wake up the next morning feeling refreshed, energised and ready to enjoy the day ahead. So, what are you waiting for? Set yourself the challenge of going for a run in the next few days and see how good it feels…it could be the start of a healthier and fitter new you. A good pair of trainers is the most important part of your running kit because it will reduce your chances of injury and help you to become a better runner. Lots of sports shops now offer a gait analysis where they watch you on a treadmill to see if there is any pronation while you run, and to also determine the kind of support you need from a trainer. 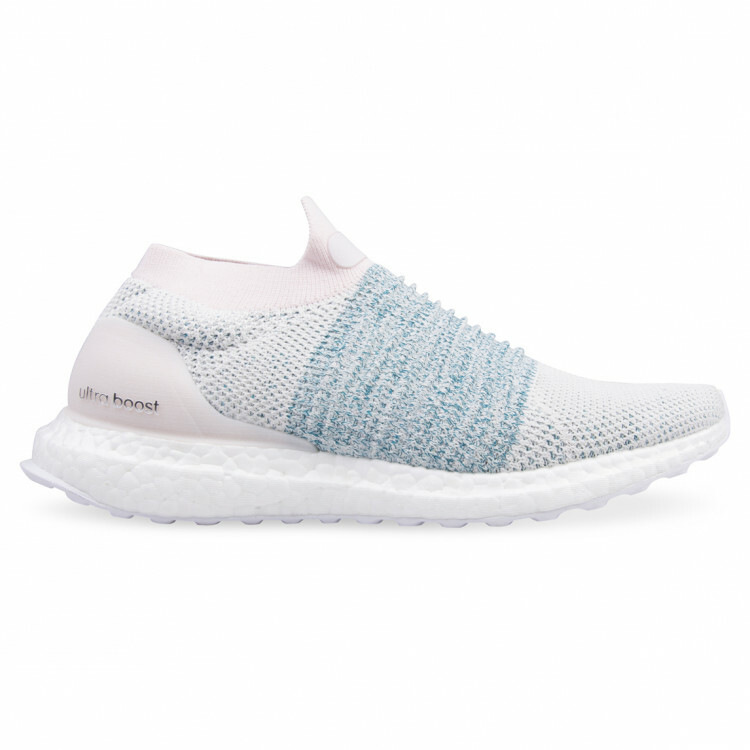 If in doubt, start with the Adidas Ultraboost Laceless Shoes, £159.95, which have good grip, plenty of support and feel like they mould to your feet while you’re running. 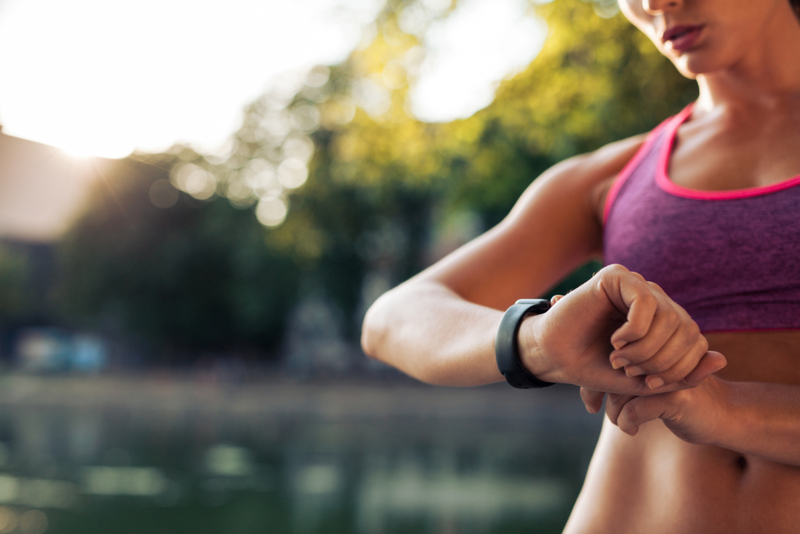 When it comes to running, it’s all about the apps these days and if you’re a novice, The Couch to 5k app is still a winner. Complete with three thirty-minute workouts, a virtual coach and a tracker that monitors your time and distance, this will you have you working up a sweat in no time and keep you motivated on those steep hills, too. 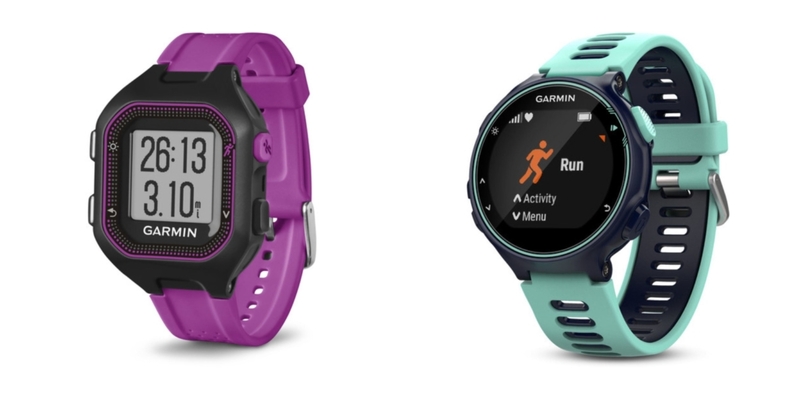 Serious runners may want to take a little look at the Garmin Forerunner; a state-of-the art GPS running watch which includes a heart rate monitor and full GPS tracking technology. Prices range from £119.00 to £900.00 depending on the model, but with the ability to record every running stat, this watch will help you to understand your body and track your running progress like you’re a pro. Fitness freaks will love it! Now you’ve got your running essentials together in case you need another incentive, we’ve got more for you! The good news is that you can in fact run anywhere up to a point. So, if the gym floats your boat, you can use the treadmill or why not take a run in the park? It can also be a social activity if you want to join a group. This way, you’ll meet like-minded people and you’re exercising too! Running can also help rid your pores of any clogging so you’ll benefit form a fresh and healthy glow. Don’t forget to remove all your make-up before your workout! It’s also a great way in which to improve your self-esteem. But don’t overdo it or you could suffer stress injuries. Why not try tennis, swimming or Pilates of you’re looking for another form of exercise to complement your running programme?